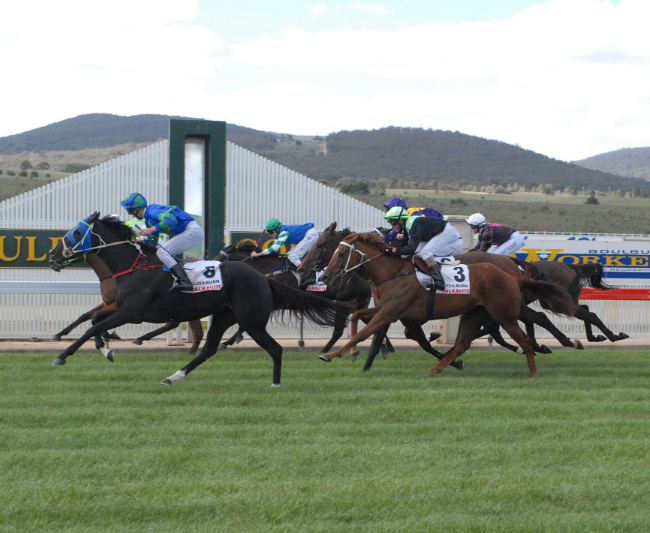 In a first for Goulburn & District Race Club, a staying race over 2800m will be held at the tablelands track at its upcoming meeting on Tuesday 9th October. The Spring Merino Stayers Cup will prove a real test of tough legs and is the first time that the club has scheduled a race over such a genuine staying trip. The longest race previously held at the current racetrack was over 2300m. The starting point for the Benchmark 66 rated race will be at the 900m mark on the course proper. Goulburn Race Club's CEO, Robyn Fife, believes the big tablelands track is ideal for such a long distance flat race. "The big open spaces of our track lends itself to a distance race where stayers can find their feet," Ms Fife said. "It’s always great to see those horses that can really stay given the opportunity to test themselves against each other over such a demanding trip. Goulburn Race Club is also about to enter a 'staying test' of its own this spring with three meetings scheduled for the month of November, the club’s 'spring carnival' incorporating three meetings next month. The club will race on Sunday the 4th (Family Fun Day) and Saturday the 10th (Girls Day Out), creating a genuine build up to the running of the $150,000 Best Western Plus Goulburn Cup on Sunday 25th November. Nominations for Goulburn's Spring Merino Stayers Cup race and the remainder of the meeting to be held on the 9th October close at 11am this Wednesday (3rd October).